Happy Saturday everyone! So along with my daily fashion posts, I will also be interviewing some local designers every now and then and dedicating my blog posts to them. 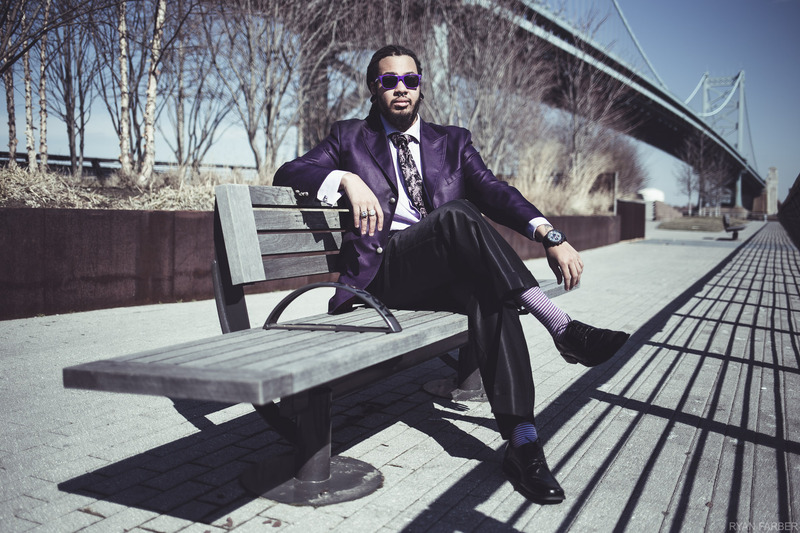 For my first interview I have LeGrand Leseur, a fashion designer and brand entrepreneur from Philadelphia. 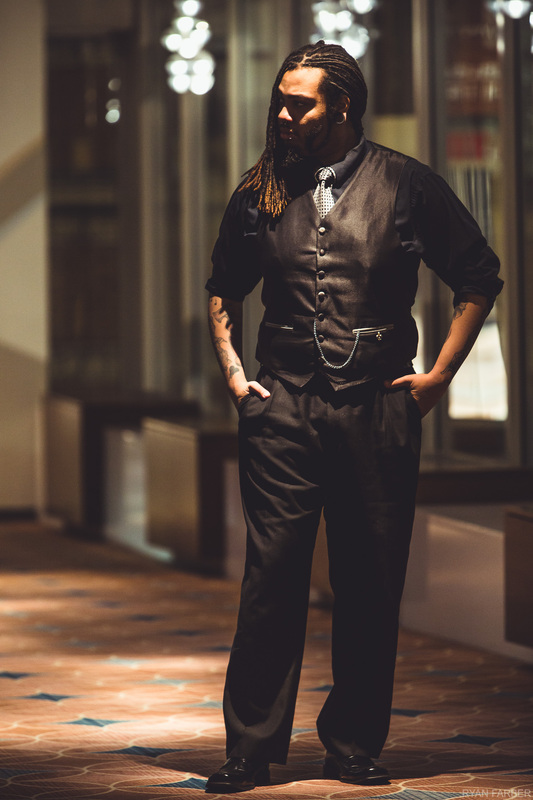 I first met LeGrand at Philly Fashion Week back in February and noticed his impeccable sense of style right away! 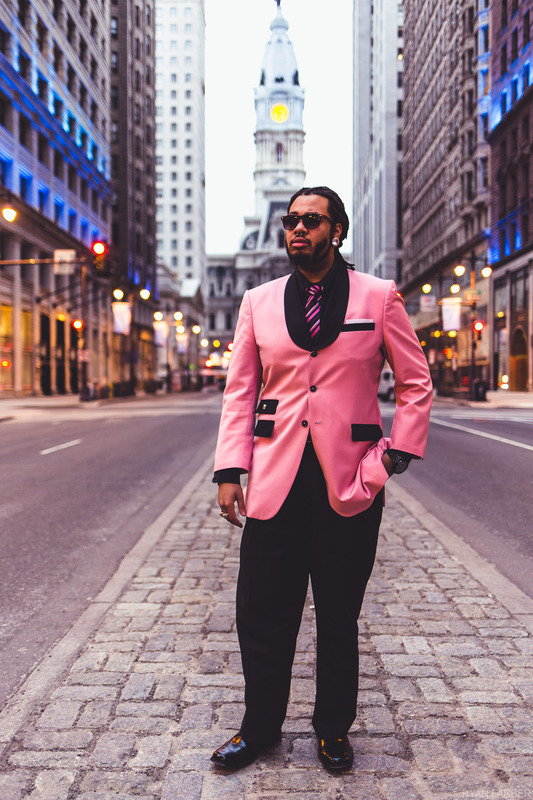 LL: My name is LeGrand Leseur and I am fashion designer and brand entrepreneur from Philadelphia. I’m 23 years old. I graduated Anna Maria College with a degree in humanities. I originally went for music and actually auditioned with a technical death metal song I wrote; same day I got in. I later changed my major because I didn’t want to teach music I just wanted to play. I changed my major to humanities because I like studying people and ideas. I am very deep into philosophy. VF: What made you get into designing? LL: I wanted to wear things that other people weren’t. Black suits, navy blue suits, etc etc everyone is wearing the same stuff and it is incredibly boring. People spend thousands upon thousands for the same stuff everyone else has. F*** that. Yes it is classic but at one point other designs were considered “classic”. Without evolution things die off. I plan on living forever. Imagine 9 people walk into a job interview all wearing black suits and then 1 person wears something totally original. Who do you think will remain in the job interviewer’s head? Outside of your resume,first impressions are everything and looking the same as everyone else will actually start closing doors for you. I have to be a leader. I can’t be just be another black suit. LL: Inspiration comes from just about anything and everything. I am in the process of designing a suit that was inspired by a Willy Wonka everlasting gobstopper. Anything can be a from of inspiration. You just have to look around and listen to some chill music. Once pencil hits paper, or in my case pen to tablet, ideas will start flowing. VF: Have you always wanted to be a designer? LL: Not at all. I wanted to be a rock star with my music since I was 15. Through college that changed however. I figured I could become successful in other ways. So I have been working on that ever since. VF: Do you have an end goal? LL: I am trying to become the number 1 fashion designer in the world. I recently entered Vanity Fair’s international best dressed challenge and I am currently the number 1 voted male in the competition. So that’s a blessing. I am trying to move to travel the world, hang out with Lana Del Rey on the daily and have a few houses in places such as Miami, France and Japan. Top end goal? Get my mother out of Philadelphia because she always wanted to go to Italy so I figured moving her there would be ideal plus I’ll be closer to Milan which is a major fashion city.